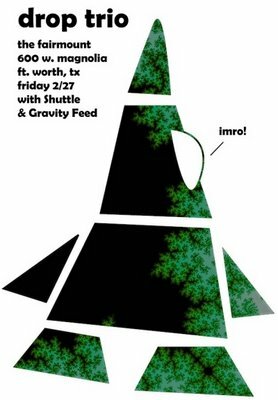 Denizens of the greater Dallas / Ft. Worth area with an interest in spaceship jazz: join us at The Fairmount on Friday, Feb. 27. Shuttle and Gravity Feed will play as well. Hope to see you there!